Gupz Saund is no stranger to the Kenyan airwavs. 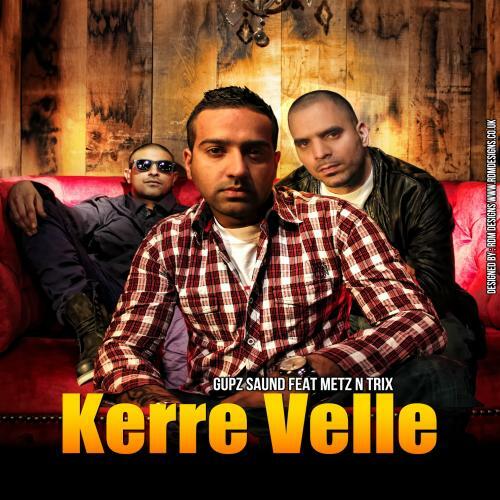 He drives you home on The Rush on East FM and now he has every intention of driving you wild with his brand new single Kerre Velle featuring the famous UK duo Metz and Trix. The song lyrics have been written by Amrik Saund and the track has been produced by Gupz Saund. Manchester born and bred Metz & Trix are already established artists within the Urban Asian music scene and are regarded as pioneers of the great MC/Bhangra fusion during the late nineties incorporating r’n’b, hip-hop, drum’n’bass, garage and other music styles uniquely blended with bhangra beats and themes to create a new genre of music for all to hear. The single for this catchy, danceable track is being released on iTunes on the 12th of May. Previous Oh… What A Night!